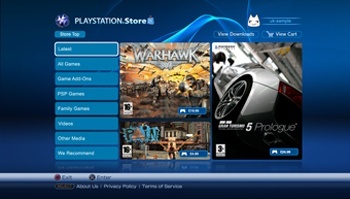 Ruling that PSN "isn't a company town or otherwise a state actor subject to First Amendment obligations," a judge has dismissed a lawsuit filed against Sony in July for banning a gamer from its online service. Back in July, an agoraphobic gamer named Erik Estavillo sued Sony on the grounds that his banning from PSN violated his First Amendment rights of free speech, and caused him undue harm due to the fact that he was scared of crowds and could not properly interact with people offline. Last week, Judge Ronald Whyte of the Northern District of California court system summarily dismissed Estavillo's claims, saying that since the PSN service wasn't a "company town" or any analogous entity, it was not held to the First Amendment obligations in the same way a state-owned body would be. "There is no indication that Sony has assumed functions traditionally reserved to the government, or that the government had any part in encouraging Sony to create the Network," said Whyte. It really isn't a surprising verdict - what's surprising is that it wasn't thrown out sooner - and so unfortunately, Mr. Estavillo must face the facts sooner or later. Hey, he could always try Xbox Live, right?